Saumur is synonymous for the sparkling wines that are produced in the sandstone caves that run alongside the Loire River in this central Loire Valley town. The main grape variety here is Chenin Blanc although a small amount of red wine is made from the Cabernet Franc grape that is gaining in popularity. The sparkling Saumur is made from the traditional method as is used in Champagne. As the town of Saumur, like much of the central Loire, lies on a mound of tuffeau porous sandstone, producers have carved out cellars in the rock which provides perfect conditions – cool, humid cellars - for the longer bottle aging on the lees that this method demands. Sparkling Saumur is an attractively priced, dry, fresh wine to be served as an aperitif. 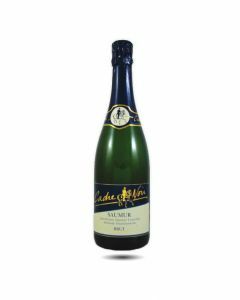 This Sparkling wine, which is made in the traditional method, comes from Saumur, in the Loire Valley. It is fresh with a lovely light body showing delicate floral and white-fruited notes. Offering excellent value for the quality, serve well-chilled as an aperitif.